New 2015 models on the way. The Big Three automakers continue to fight back in a wide open US market. GM remains the market leader, but Ford and Fiat Chrysler continue to boost market share in various segments, sometimes at the expense of each other. For 2015, all three automakers will have several new models to offer including the following three that are all-new and should boost sales. Props must be given to Lincoln dealers who have suffered enormously since the Mercury brand was discontinued in 2011. With very few models to offer, Mercury-free Lincoln dealers have seen sales tumble and their profits with it. Ford has promised to revive its luxury brand and began to make a positive stride last year with the introduction of the updated MKZ sedan. That model has helped sales, but Lincoln dealers want and need more. Fortunately, that wait is nearly over as the Lincoln MKC crossover utility vehicle debuts this June. Never mind that the Lincoln MKC shares its platform with the Ford Escape. You will not find badge engineering here as the MKC has its own body, interior and many mechanical components that are unique to this model. Priced from $33,100, the MKC joins two other crossovers in the Lincoln line: MXK and MKT. Lincoln still sells its traditional body-on-frame Navigator, what will also be new for 2015. A pair of EcoBoost engines (i.e., turbochargers, direct injection, variable valve timing) will be available with the MKC including a 2.0-liter four-cylinder engine that makes 240 horsepower and is also sold with the Ford Escape. New for 2015 is a 2.3-liter four that makes 275 horsepower and is available only with the all-wheel-drive edition. Standard adaptive suspension, bi-xenon headlamps, push-button transmission, and real leather and wood are among its highlights, features you won’t find in the Escape. The Lincoln MKC serves one of the fastest growing segments in all of autodom: compact luxury utility vehicles. It will have many competitors including the Cadillac SRX, Mercedes-Benz GLK, Audi Q3, and the BMW X3. It should quickly become Lincoln’s best selling model, even topping the 40,000 units the MKZ is projected to garner this year. 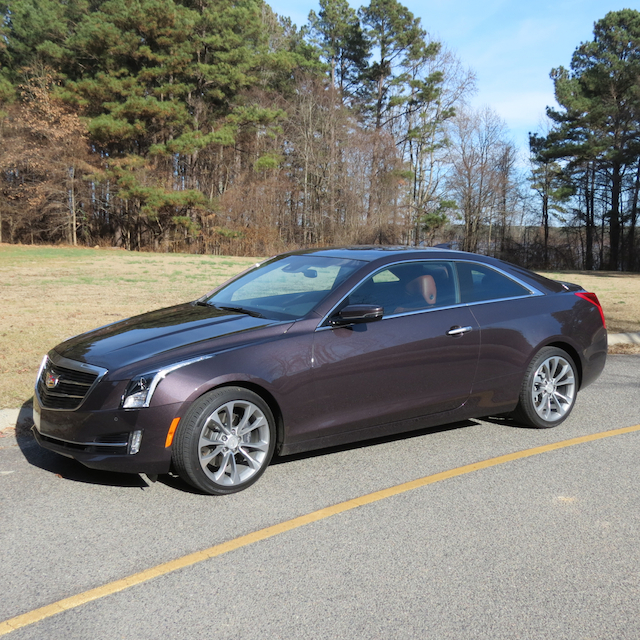 Two years ago GM introduced the Cadillac ATS, a compact sedan that slotted below the popular CTS line. It was the first time since the Catera of the 1990s and the Cimarron of the 1980s that Cadillac has sold a compact model, with the ATS immediately proving a hit for the brand. GM made it known back then that new ATS models would follow. The next body style for the ATS line is a coupe, a model that has the BMW 4-Series in its crosshairs. Comparable models from Mercedes-Benz, Lexus, Infiniti and Audi are also game. Cadillac has priced its luxury 2+2 sport coupe from $38,900. What you get is a standard 2.0-liter turbocharged four-cylinder engine paired with a 6-speed manual or 6-speed automatic transmission. This engine makes 272 horsepower and 295 foot-pounds of torque. Rear-wheel drive is standard; all-wheel-drive is available. You can also choose a 321-horsepower 3.6-liter V-6 engine paired with a 6-speed automatic. Brembo brakes are standard across the model line; magnetic ride control suspension is also available. Cadillac describes the ATS coupe as a “true driver’s car” with four color themes available making use of Sapele wood, aluminum trim and leather. Its near 50-50 front to rear weight distribution, magnesium paddle shifters, speed sensitive steering, and independent suspension are designed to emphasize the thrill of the drive. Cadillac sales have slipped slightly this year, but the addition of the ATS coupe and an all-new Escalade should help GM’s luxury brand bring in more customers. Fresh off the official merger of Fiat and Chrysler to form Fiat Chrysler Automobiles, N.V., the combined corporate entity continues to bang out new models. 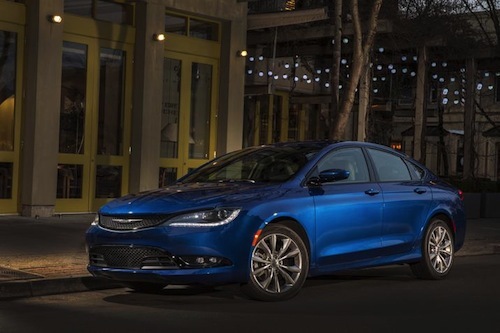 One such vehicle is the Chrysler 200, a midsize sedan that has not competed well in a segment dominated by the Toyota Camry, Honda Civic, Nissan Altima and the Ford Fusion. The Chrysler 200 made its debut in 2011, essentially a refreshed version of the previous Chrysler Sebring. The name change alone helped sales for a model line that also included a convertible. The convertible is no more, just a sedan will be offered. The latest iteration of the 200 is not like any one previously offered. It is based on Fiat’s compact-wide platform, what underpins the Dodge Dart and Jeep Cherokee. That platform has been stretched and widened to accommodate the Chrysler, a model priced from $21,700. A 2.4-liter four-cylinder engine making 184 horsepower is standard. Also available is a 295 horsepower 3.6-liter V-6 engine. Both engines are paired with a 9-speed automatic transmission. New for 2015 is the available all-wheel drive, an improved infotainment system and other technologies, plus eight airbags. Perhaps the biggest change for the 200 is how Chrysler is recasting the brand. In April, CEO Sergio Marchionne said that Chrysler is now its mainstream brand. In other words, it no longer competes with Buick and defunct Mercury, rather it is on the same playing field as Ford and Chevrolet. Auto Trends will have reviews of these and other new models as they pass through our press fleet. That information will be posted to our new car reviews section in the coming months.